« Deal of the Week #2 – Big Shot Doctor Bag! Hmmm… Well, I’m not sure what happened as I tried to do this week’s Mojo Monday sketch. First of all, it is Tuesday. Maybe that is part of the problem. I don’t know, but no matter how hard I tried I could not follow the sketch exactly. I left off one of the bars, which is probably why I had to move the circle (or oval, in this case) from the bottom of the rectangle to the top. I am pleased with how the card turned out, though. 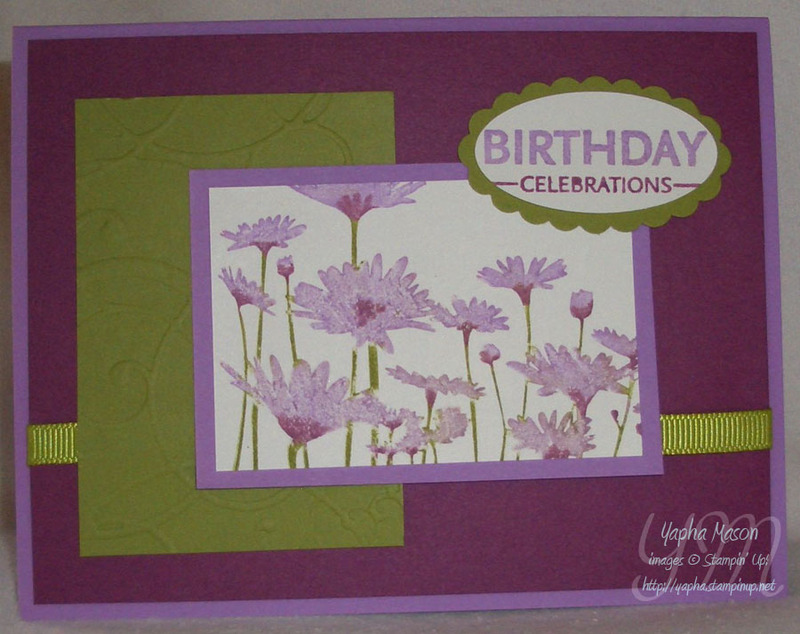 I borrowed the color scheme from the new Cottage Wall Designer Series Paper. Have I mentioned how much I am loving these In Color Stampin’ Write Markers? They are awesome!